Home Prices 'Drifted Lower' In Recent Months : The Two-Way The worst may be over for the housing market, but a "sustained recovery" is unlikely until the economy gains strength, according to the latest S&P/Case-Shiller Home Price Indices report. 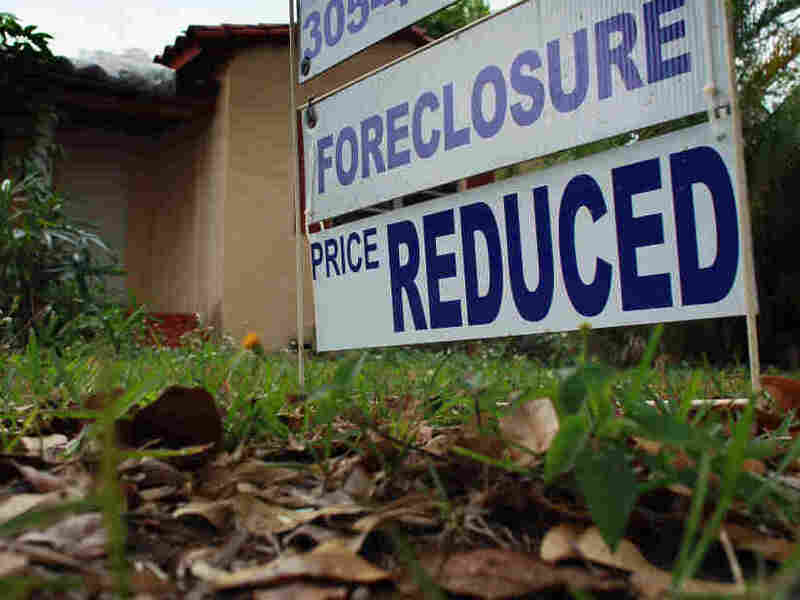 One reason prices have been falling: A glut of foreclosed homes. Home prices across the U.S. are still only "back to their first quarter of 2003 levels" and "drifted lower in September and the third quarter," according to the widely watched S&P/Case-Shiller Home Price Indices, which were just released. As The Associated Press says, the news is "the latest evidence that the troubled housing market won't recover any time soon." "The National Index was down 3.9% versus the third quarter of 2010 and up only 0.1% from the previous quarter. Three cities posted new index lows in September 2011 — Atlanta, Las Vegas and Phoenix. Seventeen of the 20 cities and both Composites were down for the month. Over the last year, home prices in most cities drifted lower. The plunging collapse of prices seen in 2007-2009 seems to be behind us. [But] any chance for a sustained recovery will probably need a stronger economy."